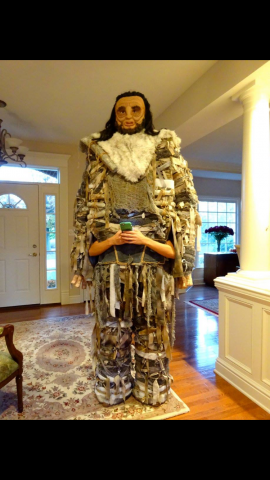 Game of Thrones Giant Wun Wun Costume « Adafruit Industries – Makers, hackers, artists, designers and engineers! Wen Weg Wun Dar Wun, a.k.a. Wun Wun, is a giant and wildling in Game of Thrones. 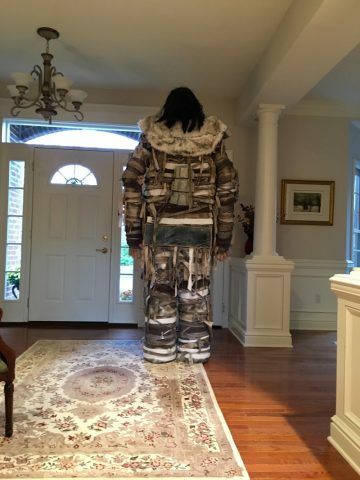 Redditor Vgal120 decided to become the character for Halloween. She does not have the stature of a giant, so she constructed a frame from cardboard and tape (you can see it below along with a couple of other build photos) and practically doubled her height with it. 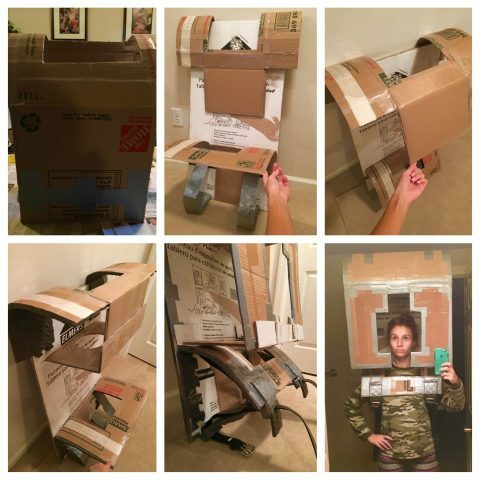 She modified plastic pretzel containers to make large legs and added a cardboard torso. She kept the legs in place with suspenders. 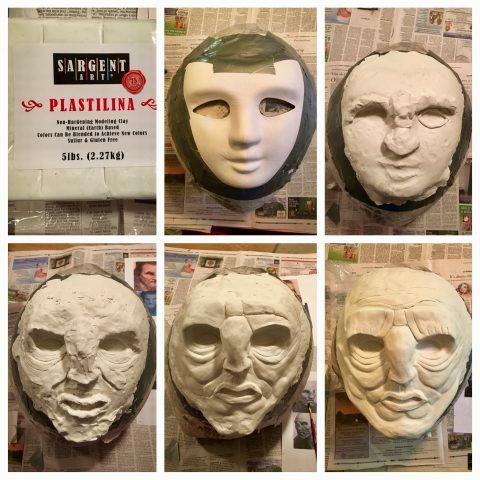 As for Wun Wun’s face, she started by using Plastilina to sculpt over a plain white plastic mask. When the sculpt was completed and hardened, she applied paper mache over it before painting and adding the facial hair (she got a black wig from Goodwill and glued it on strand by strand). See additional photos showing off the evolution of the mask and body frame at Imgur.